Become a CleanPowerPerks Local Member Business! 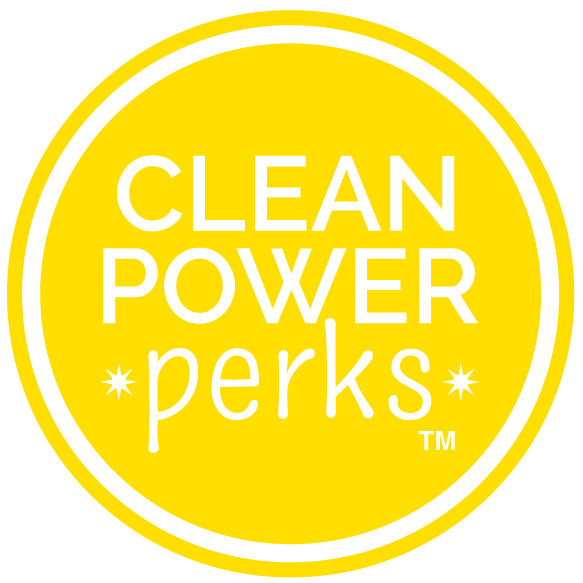 Once you’ve got clean power, complete the CleanPowerPerks Business Member signup form. Then we’ll add you to our website, set up your perk of choice in the mobile app + send you your Clean Kit with signage for your store. Like magic, you’re ready for more new customers! STEP 3: Love Your Perks! After setup is complete, we’ll start promoting you to a high-value local audience and delivering customers coming into your store. You honor their perk and we’ll do the rest! Sign up for clean power first to qualify as a Member Business. You’ve got to walk the walk to participate! Don’t worry – it’s a piece of cake + there’s an option for every business, even if your landlord handles your energy. * You can only sign up for clean energy if your name is on your energy bill. If you don't pay your electric bill directly, you can still support clean energy through Renewable Energy Certificates that match your electricity usage! Learn more about this option here! CleanPowerPerks doesn't yet offer local options in your area, so your best option now is to support clean energy through Renewable Energy Certificates that match your electricity usage! Your best option to sign up now is to support clean energy by matching Renewable Energy Certificates to your electricity usage! Then you’re already done with Step 1, you can skip ahead! The next step is just to fill out the sign up form so we can set up your perk + start promoting you. STEP 2: Sign up as a Member Business!